March 5, 2014, 3:52 p.m.
By Justin Ellis @JustinNXT March 5, 2014, 3:52 p.m. The model for the 20th-century American newspaper was to be all things to all people, in one amalgamated package. One daily bundle of newsprint could give you baseball box scores, reports of intrigue in Moscow, gardening tips, an investigation into city hall, and Calvin and Hobbes. The Boston Globe is betting that the model of the 21st-century American newspaper won’t be a single digital product — it’ll be a lot of them. Since 2011, the Globe has been perhaps the best known proponent of what’s been known as the two-site strategy: a paid site that includes the newspaper’s top journalism (BostonGlobe.com) and a free site that aims to be more realtime, quick-hit, and webby (Boston.com). It’s a strategy that hasn’t been without problems — ask your average Bostonian to describe the difference between the two sites and you might get a confused look — but the Globe’s plan for the future is to separate the sites even more, not to bring them back together. And they’ll be spawning still more digital offshoots along the way — each free-standing, even battling its own siblings where appropriate. Of the numerous changes the Globe’s announced this week, perhaps the most important is the replacement of BostonGlobe.com’s hard paywall with a meter — up to 10 free stories a month. The tradeoff is that Boston.com will no longer publish any content generated by the Globe’s staff: not just newspaper stories but also staff blogs, chats, and more. With the exception of video, which the sites will still share, everything else moves over to BostonGlobe.com. The hope is that’ll make the distinction between the two clearer, and that the meter will mean that the webbier parts of Globe-produced content will still have a chance to reach a non-paying audience. For Boston.com, the separation is physical, too: Its staffers are moving out of the Globe newsroom into their own space, essentially making the two sites roommates. (Albeit roommates who’ll be moving soon; new owner John Henry has said he plans to sell the company’s Morrissey Boulevard property.) A Boston.com redesign, in the works for several years now, is finally approaching launch, on mobile by the end of March and on desktop in April. McGrory told me the new strategy should help the sites become more distinctive, which in turn should drive an increase in audience. “We’re hoping obviously that it boosts traffic significantly,” he said. “But let’s be clear though: The paywall worked. It did exactly what we wanted it to do.” The company increased its digital subscribers from 28,000 in 2012 to 47,000 in 2013 to “nearly 60,000” today. McGrory said a metered paywall will help grow the audience by giving potential subscribers a sample of the Globe’s work. 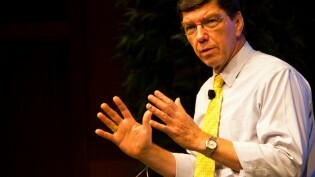 “Essentially we’re doubling down the bet on our own journalism,” McGrory said. And the two-site strategy is just the beginning. 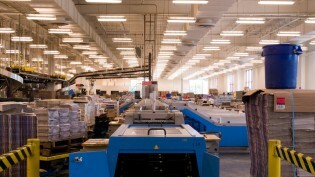 On Monday, the company launched BetaBoston.com, a site focused on the local tech and biotech industries. Last fall it launched BDCwire, an arts and entertainment site aimed at younger readers. And this spring, the Globe plans to debut a site covering Catholicism anchored by reporter John Allen. “You’ve seen a lot of organizations over the past few months focus on niche verticals. That’s something we believe strongly in,” said David Skok, the Globe’s new digital advisor (and, full disclosure, a recent Nieman Fellow). Michael Morisy, editor of BetaBoston (and a former Lab contributor), said the site has the potential to amplify the work the Globe has already been doing on innovation, from startups in Kendall Square to biotech companies. (It’s a space with some competitors already in place, like BostInno and Xconomy.) Operating independent of the Globe (though it’ll include contributions from Globe staffers) means BetaBoston can build an audience of people who might not regularly read the Globe, Morisy said. Similarly, McGrory said the Catholic site has a strong potential readership both in the Boston area and beyond. “Here in Boston, we know we have a pretty Catholic state and a pretty Catholic region. We think there is a reasonably good fit there,” he said. Expect more to come. While he wouldn’t say what the next Globe digital franchises might be, McGrory said he thinks the three key sectors in Boston are technology, health care, and education. If BetaBoston is successful, those other two could be the next targets. “My every hope is to use that for a template for what we do in the other concentrations next,” McGrory said. In the broader sense, the Globe wants to build its fortunes off a collection of distinct audiences rather than one monolithic one: dedicated news hounds going to BostonGlobe.com, information grazers at Boston.com, younger readers and music lovers at BDCwire, and the tech-inclined at BetaBoston. It’s part of continuing change at the Globe under Henry, which has also included new subscription enticements in print. But the digital moves are also a course correction on the company’s digital strategy. In the two years since the Globe divided its digital presence, BostonGlobe.com has allowed the company to grow a digital subscription business from scratch — an important new source of revenue in an uncertain environment for online advertising. But the brand confusion between the two sites has been a persistent problem and the relaunch of Boston.com has been a work-in-progress for years. When I spoke to Skok on Tuesday, he said he’s planning to apply some of the ideas of disruptive innovation in his new role at the Globe. Specifically, Skok said disruptive innovation emphasizes making sure that the priorities and resources at the heart of a company are aligned with experimentation. Launching independent sites, and creating clearer lines between Boston.com and BostonGlobe.com, will go a long way towards helping that, Skok said. McGrory sees the Globe’s future in similar terms: “It says we’re going to be as innovative as we need to be in digital formats, that we’re willing to experiment and willing to try new things,” he said. Photo by Scott LaPierre used under a Creative Commons license. POSTED March 5, 2014, 3:52 p.m.
Ellis, Justin. 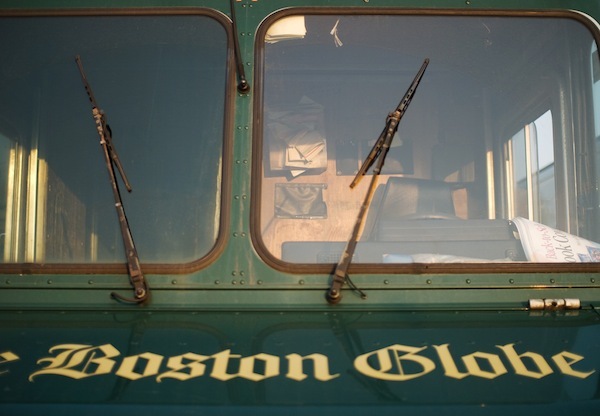 "Embrace the unbundling: The Boston Globe is betting it’ll be stronger split up than unified." Nieman Journalism Lab. Nieman Foundation for Journalism at Harvard, 5 Mar. 2014. Web. 23 Apr. 2019. Ellis, Justin. "Embrace the unbundling: The Boston Globe is betting it’ll be stronger split up than unified." Nieman Journalism Lab. Last modified March 5, 2014. Accessed April 23, 2019. https://www.niemanlab.org/2014/03/embrace-the-unbundling-the-boston-globe-is-betting-itll-be-stronger-split-up-than-unified/.